Saalfelden Leogang is well known for its countless bike trails, the Leogang Bike Park and the pleasure tours in the region. Angie from "Angeliquelini" was here in the summer and tried out E-Mountain Biking for the first time. On her blog “Angeliquelini“, Angie from Frankfurt regularly reports on fitness, lifestyle and travel. 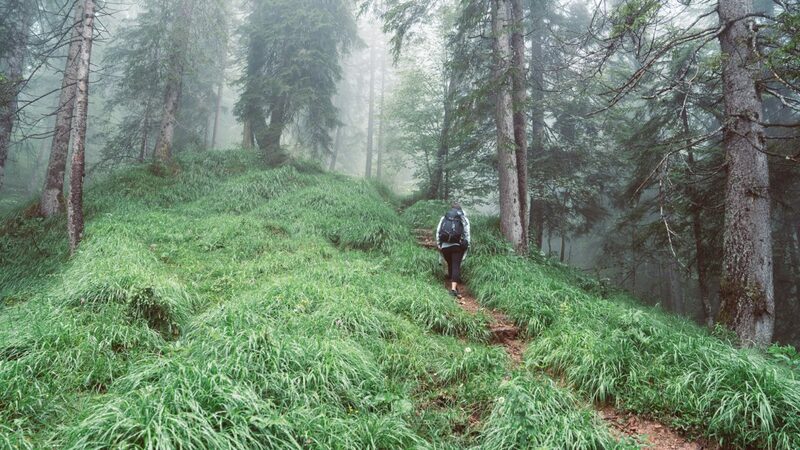 The Saalfelden Leogang region is perfectly made for this lively blogger – because here you find both comfortable hiking and biking tours, as well as challenging trails and action-packed activities. But above all one thing – pure nature! The special thing in Saalfelden Leogang is the nature. We experienced so much, had so much action. […] I need the adventure, I need action, I can’t sit still. After an extensive hike on the Tödlingalm, Angie and her friend Sascha swing up into the saddles of E-Mountain Bikes. For these two sports fans, this is the first time on an electric bike. At Sport Mitterer in Leogang, the bike was setup to their height and their needs. This ensured they had the E-Mountain Bike already under control after just a few metres and then went straight onto the trails. I found the E-Bike tour especially nice because you saw so much at once. We were able to ride through the mountains, on the streets and discovered some great lakes. The first stop led Angie to the village shop in Leogang. Here, great importance is attached to organic produce and they offer food, such as pasture milk cheese, cheesy dumplings, smoked beef, jams and much more. Those who are on the go a lot doing sport, are rewarded in the village shop for example with homemade pastries. 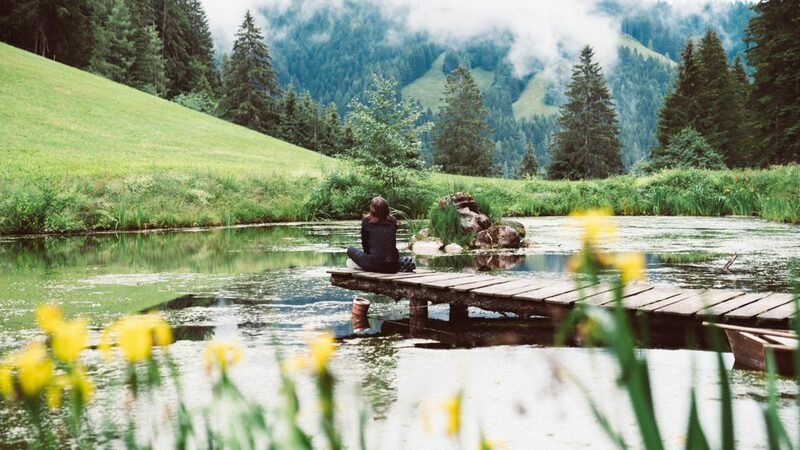 After a short refreshment, Angie and Sascha continued on picturesque trails, past high grasses and idyllic ponds, and on to the Tribuser Family and their small distillery. Once there, Angie and Sascha strolled through the huge orchard, where raspberries, apples, pears, rowanberries, sea buckthorn and more were waiting to be harvested. 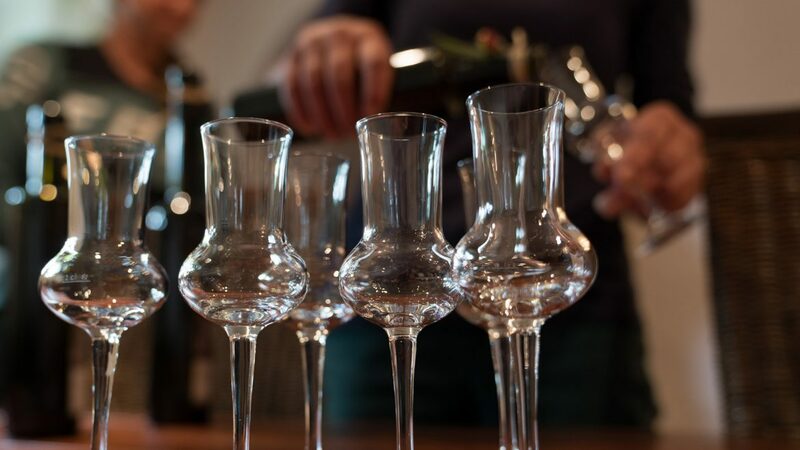 The final products are the finest schnapps, which are available in addition to home-made liqueurs, juices and jams from the Tribuser Family. After a few schnapps tastings, the rest of the area was explored. 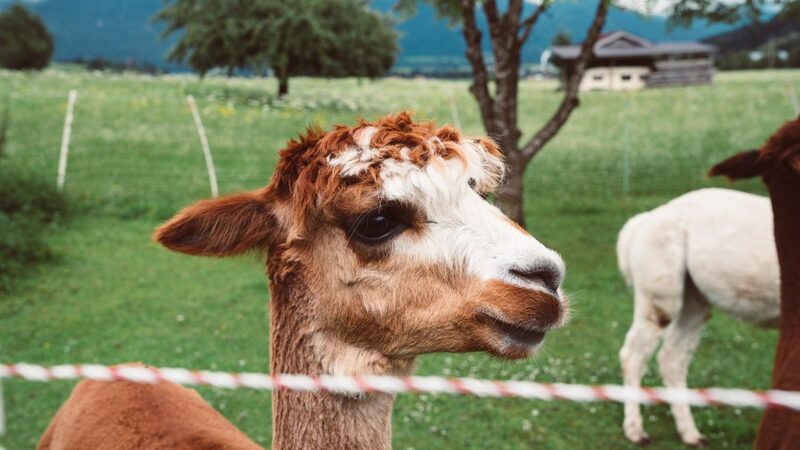 The distillery also boasts a large swimming pond and cute alpacas, whose wool is so soft that the blogger could no longer tear herself away from the animals. The last stop of the E-Mountain Bike tour was a dark pond with an abandoned footbridge, which turned out to be a perfect photo backdrop. After a few photographic impressions, the group headed back to the hotel for some relaxation. You can experience so much with the E-Bike and it is actually more strenuous than I had thought. Because many people always say that you don’t have to do anything with an E-Bike, but it’s still pretty hard on your legs. That was a special highlight. For me it was a line on the To Do List, which you can then check off. Which action lover does not dream of that? In Saalfelden Leogang you can not only experience real adventures, but also use the offers to just slow down a little. This is particularly good, for example, at “Silent Water” on the Asitz. After an exhausting day, guests can relax and enjoy the quiet lounge chairs and viewing terraces. This is what a perfect day looks like!